If you are accessing Membership at the association level or above, it is recommended that you navigate down to the club or team level of the database to add new member records. 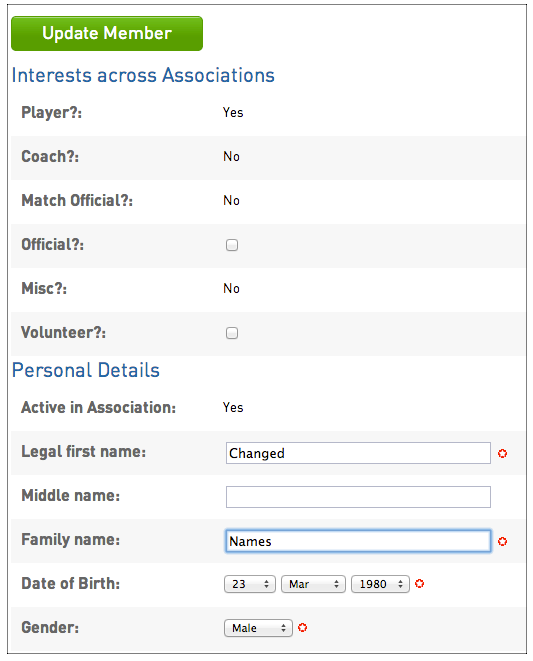 By adding a member directly to a club or team, it then allows you to assign the member to matches and record scores and statistics for the player. This enables you to keep track of the player's career history - number of games played, career statistics, etc. Please note: this is unavailable for AFL. 1. Navigate to the club (or team) that the player belongs to. 2. 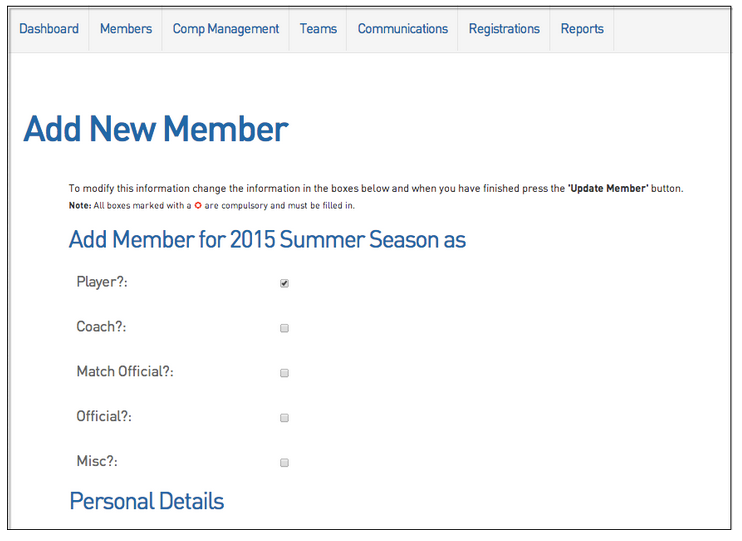 From the club or team-level menu, click on Members and from the drop down menu select List Members. 3. The list of members that belong to that club (or team) will appear. 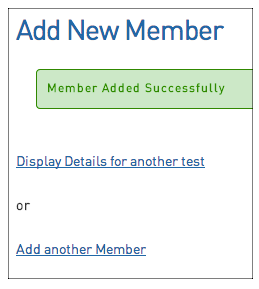 Click on the Add button in the top right hand corner of the Member List. 4. A blank form will open for creating a new member record. Enter the details in the fields provided, and ensure that all fields marked with a red asterisk are completed, as these are compulsory fields. The member fields and field settings are determined by the association via Configuration > Field Settings. 5. Click on Update Member. 6. A message will appear, confirming that the member has been successfully added to the database. From here you can click on one of the links provided to either 'Display details for the member' or 'Add another Member'. Note: Member records cannot be deleted. Member records can however be made 'inactive'. Click here for instructions on how to change a member's status to inactive. 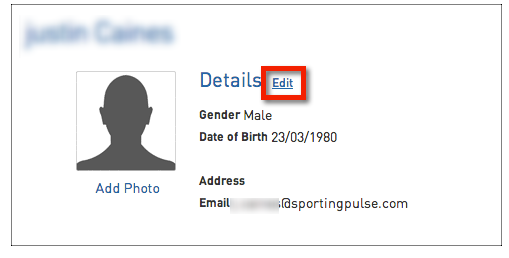 Member records can be edited, so long as the association has set the field to 'editable' in the Field Settings. 1. Click on Members in the menu and select List Members. 2. Locate the member record that you want to edit (you can use the search box or 'Advanced Search' options to quickly locate a specific member record). 3. Click on the View Record button next to the name of the member you want to change/update details for. 4. The member's record will open. Click on Edit. 5. 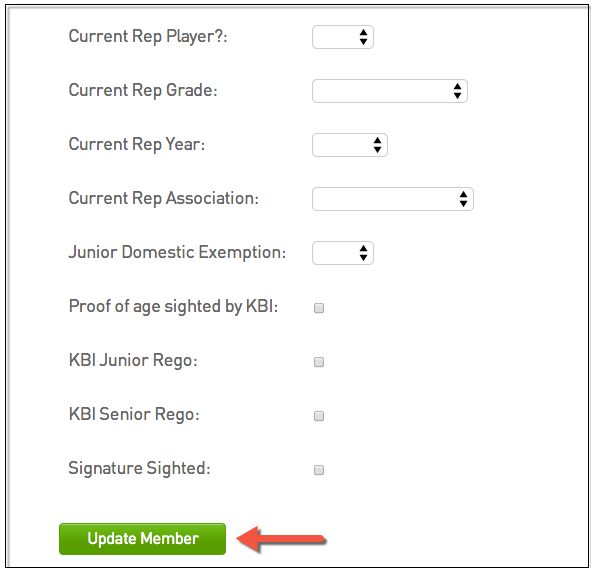 Enter the new information into the fields, or change any existing information, and click on Update Member.